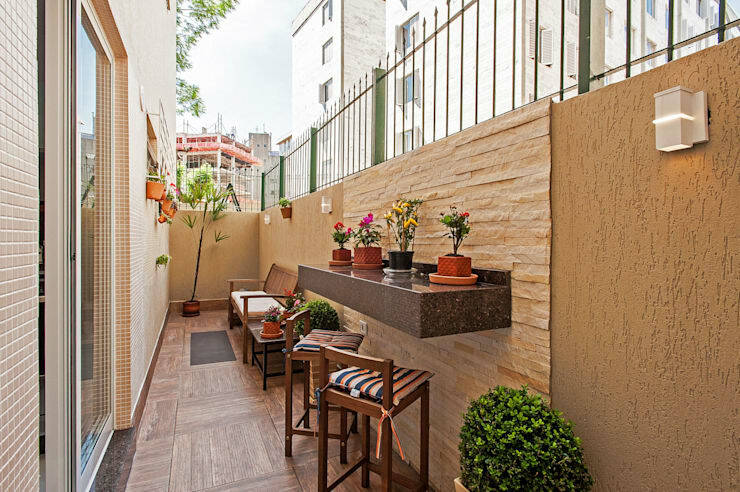 Sure, we’d all love a large, luxurious and opulent terrace that boasts all the trimmings – however, living in a cramped and cloistered city like Singapore, chances are you’re dealing with something far smaller and more compact. 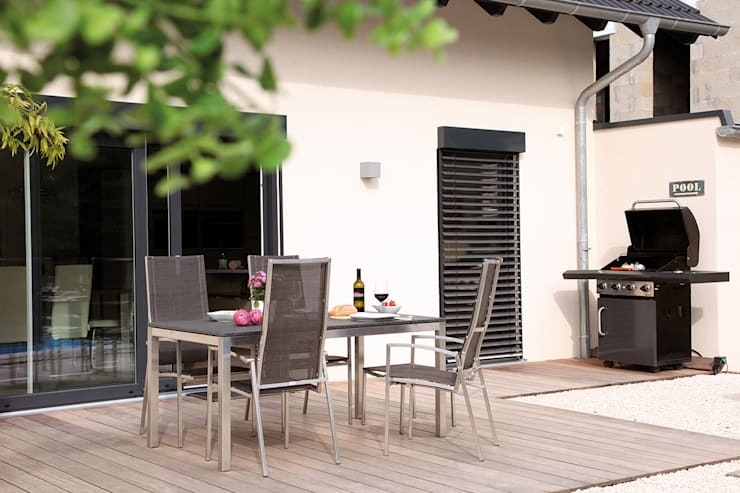 But this doesn’t mean you can’t possess a wonderful outdoor space with a range of stylish accoutrements and entertaining areas. 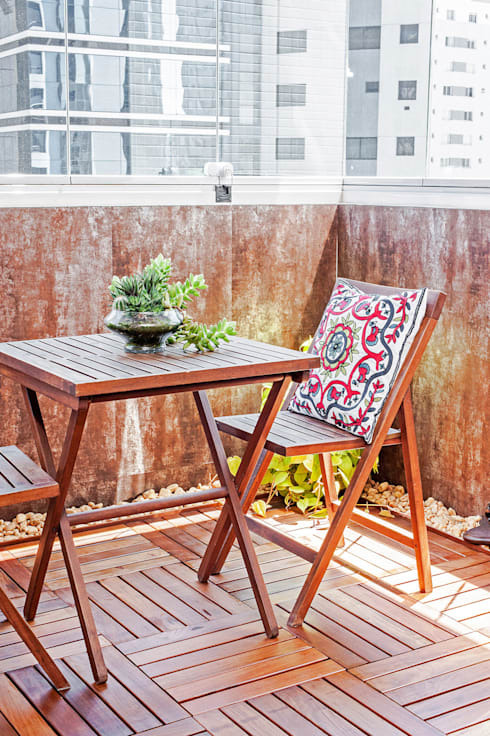 Does your balcony need a makeover? Today we’re going to be taking a look at how to update, transform and remodel your exterior space in order for it to feel welcoming and enjoyable. A few additions here and there can rejuvenate the aura and vibe of your area, while ensuring it is as usable as other more frequented spaces within your abode. Ready to begin? Read on below and start decorating today! 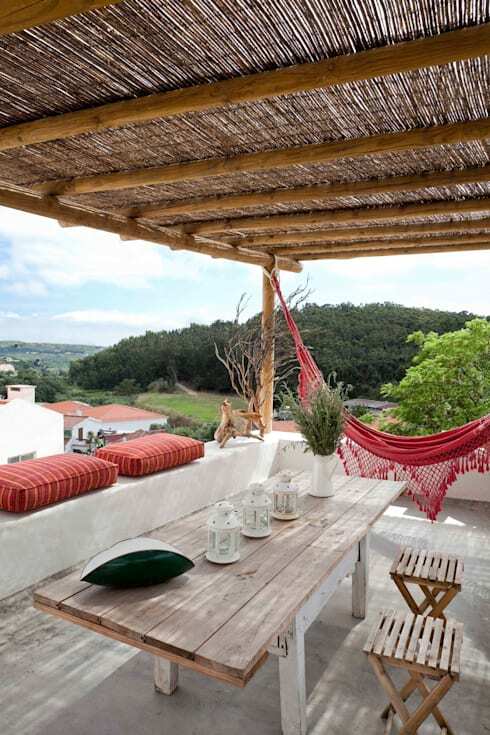 If your balcony is long and narrow you might find it difficult to add furniture that is comfy and usable. Take some cues from this design and opt for wall-mounted tables or surfaces, while incorporating higher seating for a more spacious aesthetic. 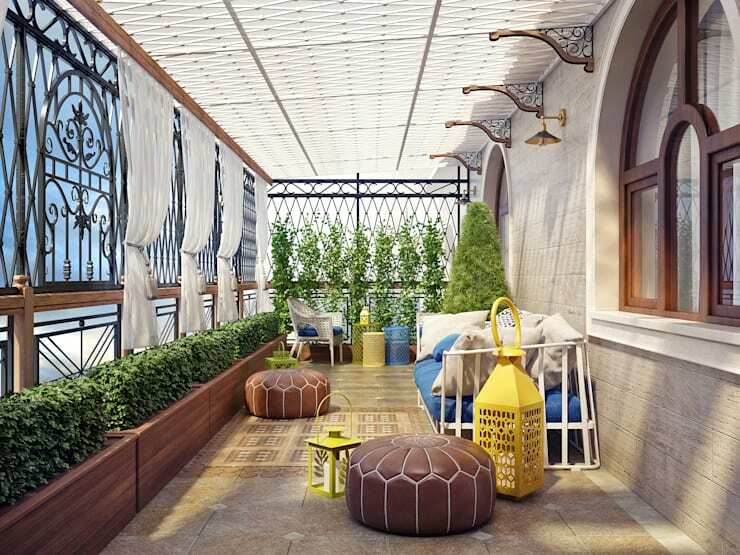 This small balcony is perfect for hot summer days with some sparkling iced tea and a great book in hand! 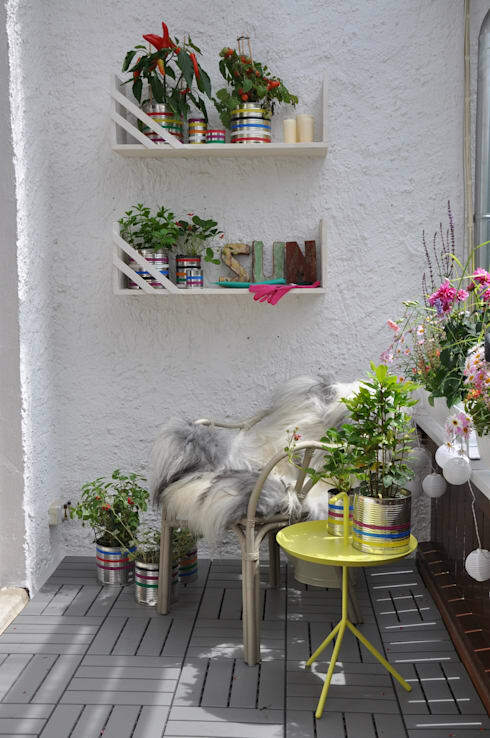 Tins make ideal, low-cost planters, while wall-mounted shelving is space saving and practical. 3. Re-floor and notice the difference! Re-flooring your balcony will add value and style to your space, and can drastically change a small area into a usable and enjoyable venue. Try patterned timber options similar to this example, which are easy to lay and look fabulous! 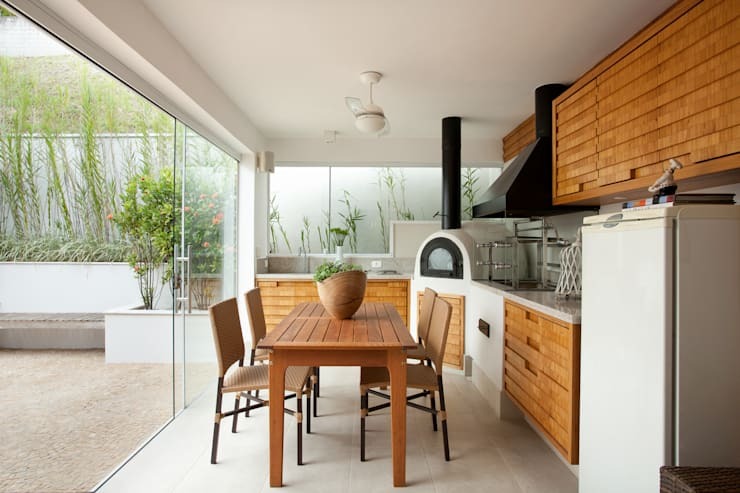 Creativity doesn’t mean you need to go overboard – opt for minimalism and simplicity in the form of a dining table setting, and a small outdoor cooking space or barbecue for parties. If you’re still lacking ideas and need some additional help, why not chat to a landscape architect or balcony specialist? You can find a range of experts via the homify website – head over here and find a little inspiration! If you have an indoor/outdoor balcony, or would simply like to create one, check out this striking example! With large glass doors, this space is perfect for hosting a dinner party, event or occasion in style. We’ve said it before and we’ll say it again, plants really enhance a balcony, while purifying air, cooling the space down and looking seriously stylish. 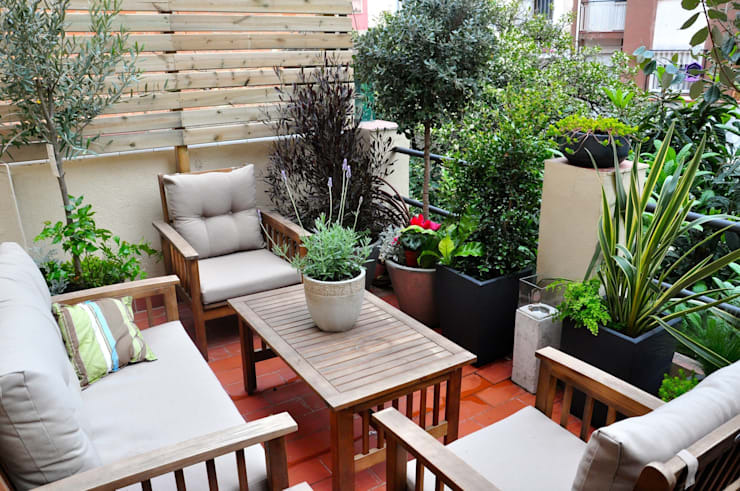 Choose plenty of green options to produce a welcoming and refreshed balcony area. Don’t be afraid to add a hammock and get comfy on your small balcony. This luxurious example will have you feeling as though you’ve travelled to a chic resort destination without even leaving your home. DIY projects are excellent for saving money, while boosting your creative skills. This outdoor setup utilises two timber crates, which hold a glass tabletop, and are paired beautifully against the hanging loveseat. Add curtains to keep the sunshine out, along with floor cushions to embrace the area, ensure it is versatile, and sumptuously cosy. Do you have any other creative tips for our homify community?